Professional quality hairdressing tool bag for work or home use. Also for the Dog Groomer and dedicated Pet Lover. The Carry-All Bag has enough room to carry all their grooming gear. 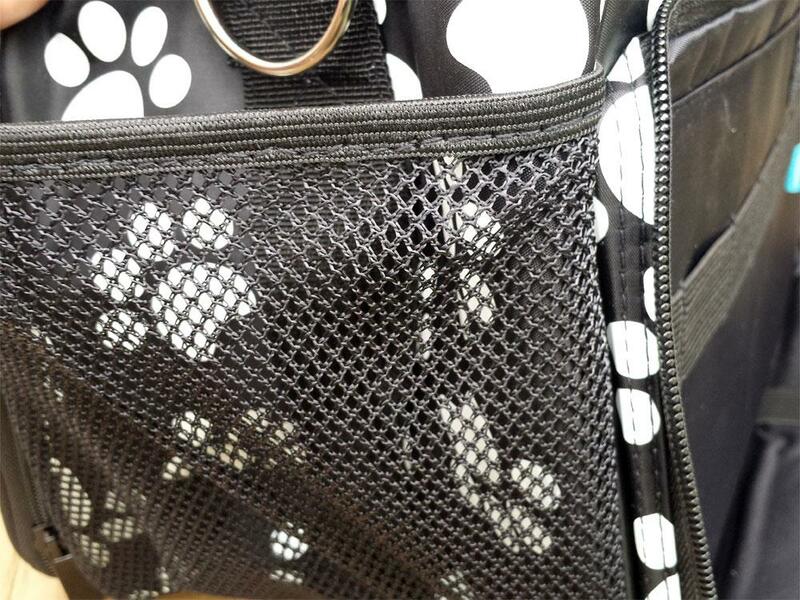 The Black, Purple and Paw print "WAHL" style grooming bags , are an Exact Duplicate with improvements of the original now discontinued "WAHL" model. 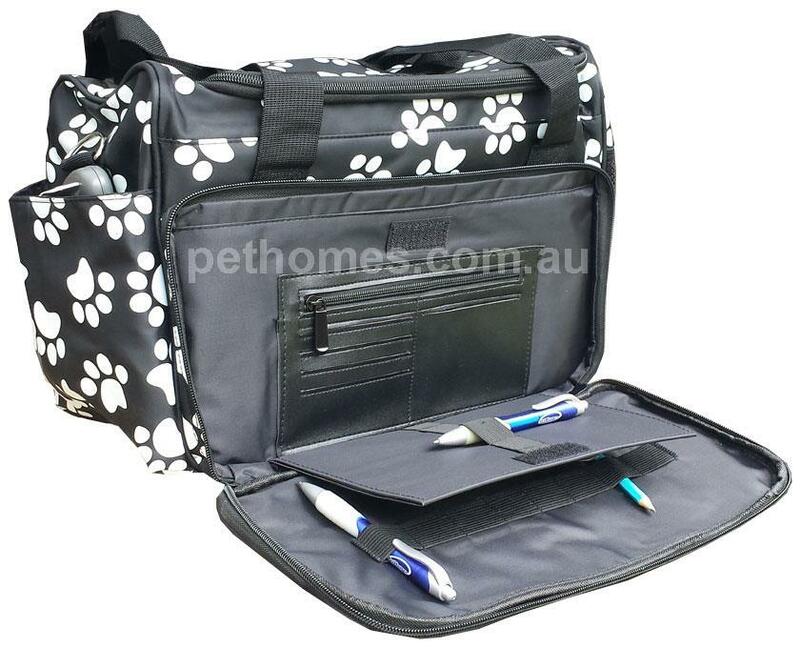 The New Pet Homes Tool Bag is the ideal bag for all your pet grooming tools. Pack your pet's essentials when taking a road trip or attending shows, use as a carry-on when flying, the uses for this bag are endless. This stylish Pet Homes Tool Bag features handy side pockets, a zippered top flap for added security as well as a scissors pocket. A removable and adjustable shoulder strap is the epitome of comfort and convenience. 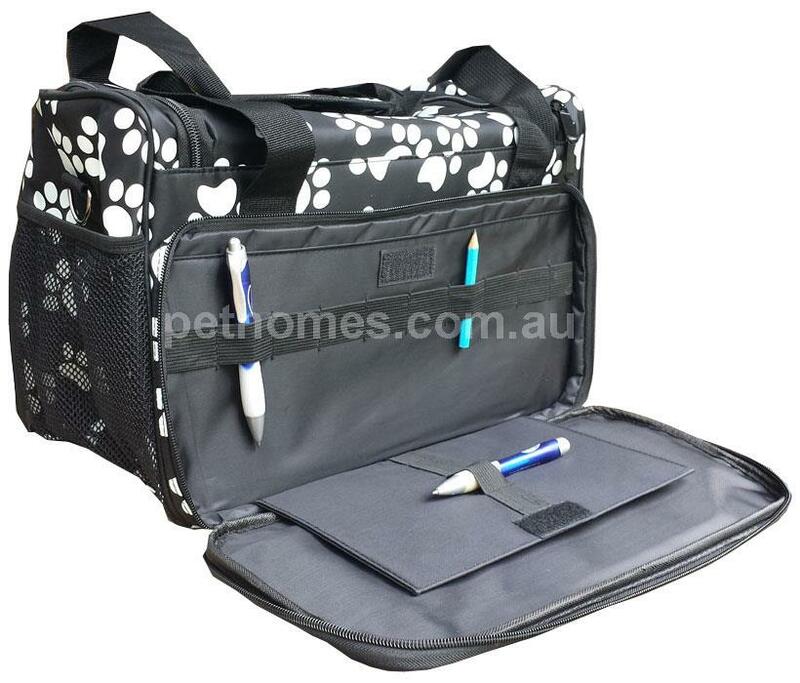 Made from durable micro fibre material, Our Pet Homes Tool Bag is easy to clean and maintain. Mesh outside pockets on one side. 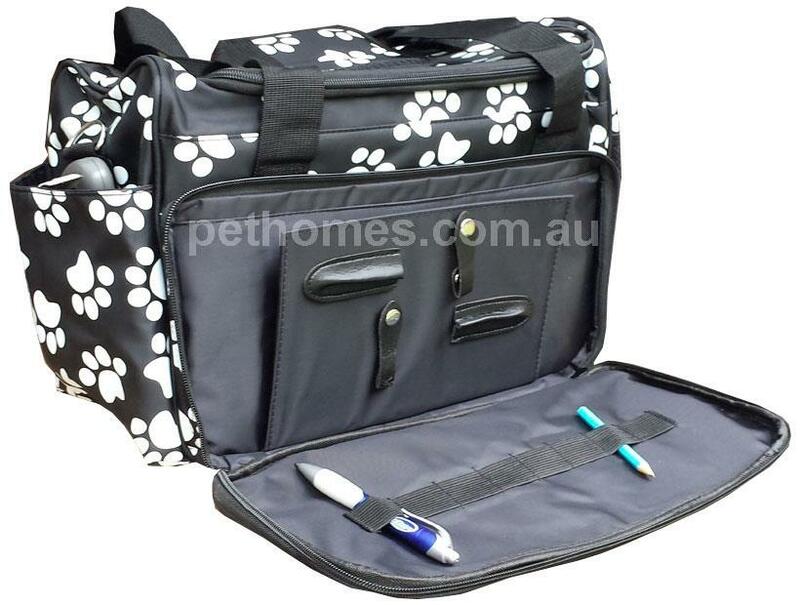 Pet Homes Brand Bag is Exact Duplicate and with extra features added to the Wahl original.